On our way back from Mui Ne to Saigon the other day we bought a bag of fresh tamarind from the region. It was delicious, but as it is with sour fruits, you cannot eat that much in a day and it was a big bag. So here is what we've done with the rest of it. 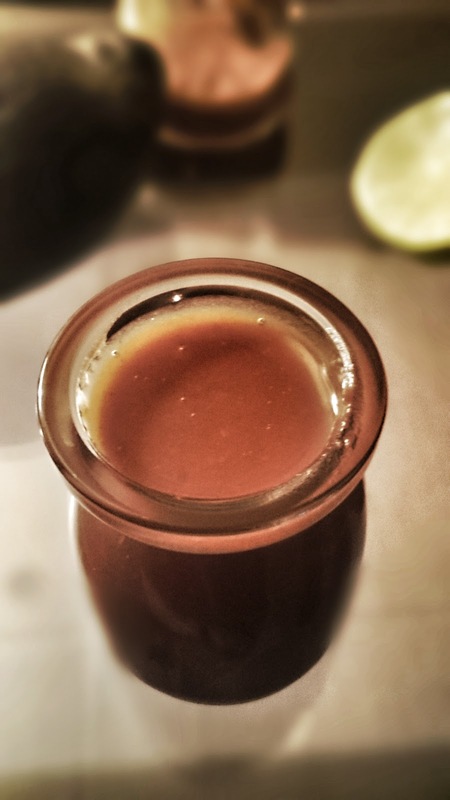 A fresh and yummy tamarind sauce! 1 table spoon of agave syrup or honey. I used hibiscus honey this time. If you are using fresh tamarind as I do, you'll need to take the shell off. Then you should leave the tamarinds in a bowl with just enough water that covers them all. Leave them soften for a couple of hours or even one whole night so it will be easier to take the seeds out. 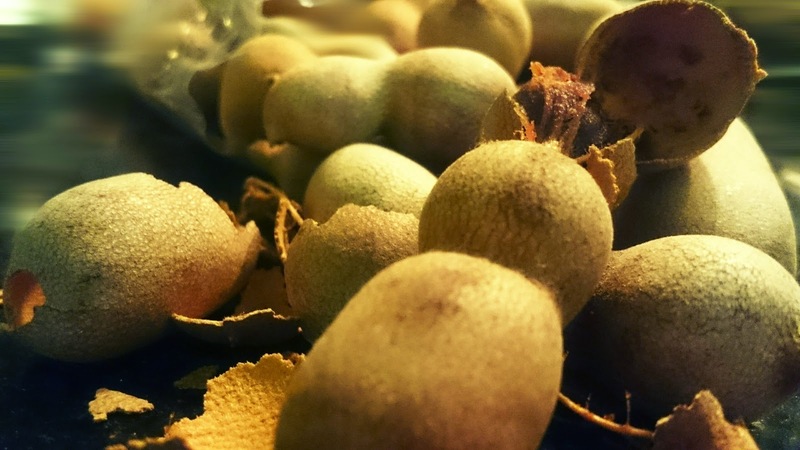 After the tamarind is soft, you can use your sacred clean hands to get the seeds out and at the same time make a kind of paste with the tamarind. You may want to try out planting some of those seeds if you have a nice garden, I love tamarind trees! When your tamarind is soft and seedless add the salt and the chilli and cook in medium heat. When it starts boiling turn down the heat and let it boil for about 15 mins or until it becomes thick, the time depends on the amount of water you used. When it starts getting thick, add the lime juice, the honey and stir constantly until you get the desired consistency. Take the chilli out. If you prefer the sauce without pulp, then this is the time to use a strainer, but on my opinion it is taking good part of the taste and consistency out, as well as producing unnecessary food-waste, so I'll recommend you to keep the pulp. Let it cool and put it in jars or plastic containers if you are going to freeze some. Keep in the fridge. Enjoy simply as jam, on top of bread, or as dressing for salads and almost any other dish you are planning to prepare these days.